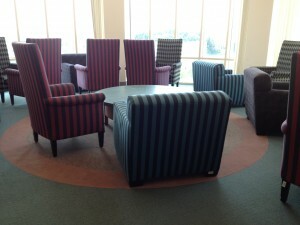 The sixth floor of the library holds an alcove with various comfortable chairs and a lovely view of campus. Warning, the chairs are very comfortable. I may have drifted asleep once or twice. Also, please note that the sixth floor is an “Absolutely Quiet” floor. My second favorite place to study is the space under Sherman Hall. If you go up the stairs next to Starbucks you an find an opening with scattered chairs and tables. 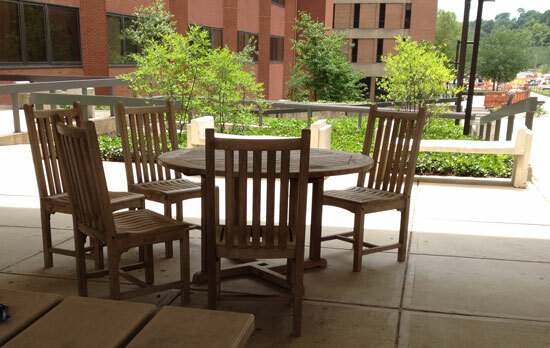 Feel free to hold group study sessions while enjoying the great weather. 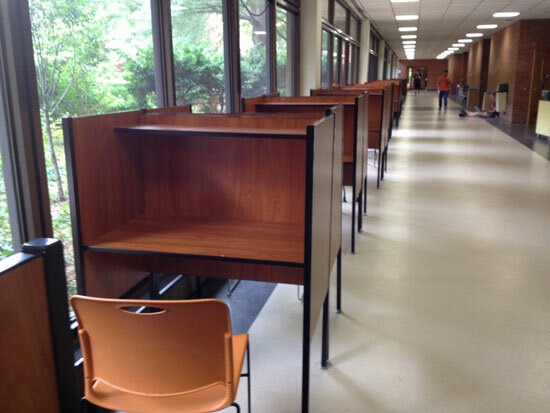 I also go to the Math/Psych building for the individual study desks. If you need a place to buckle down and need a private space this is the place for you. Not to mention, there are vending machines in close proximity and Starbucks is just across the way. Just make sure to bring earbuds.